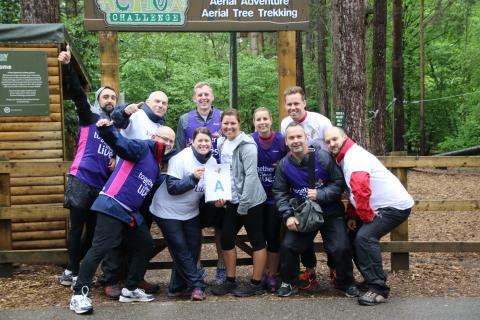 Leading short break provider Center Parcs has just announced they have raised more than half a million pounds for UK charity Together for Short Lives. The two organisations worked together previously, with the provision of Center Parcs breaks to families supported by the charity, then Together for Short Lives was chosen as the company’s main charity partner in June 2016. Center Parcs UK has been a separate company to Center Parcs Europe since 2001; the two organisations only share a brand name and the core concept of family short breaks in the forest. Center Parcs UK has five villages across the UK; Sherwood Forest in Nottinghamshire, Elveden Forest in Suffolk, Longleat Forest in Wiltshire, Whinfell Forest in Cumbria and Woburn Forest in Bedfordshire. Each village is nestled within 350-400 acres of woodland with a variety of activities to choose from, restaurants and cafes. There is also a Subtropical Swimming Paradise and award-winning spa called Aqua Sana. Center Parcs UK offers weekend, (Friday to Monday) or midweek (Monday to Friday) breaks and welcomes more than 2.1 million guests each year, with 96% of guests expressing an intention to return. Visit England recently awarded the company five stars for all sites (scoring each village between 90% and 98%), making comments about the friendly nature and efficiency of the staff and the quality and cleanliness of the facilities. As the leader in the UK short break holiday market, Center Parcs UK achieves average annual occupancy in excess of 97%.